What happens when a guest cancels with Smart Connections™? 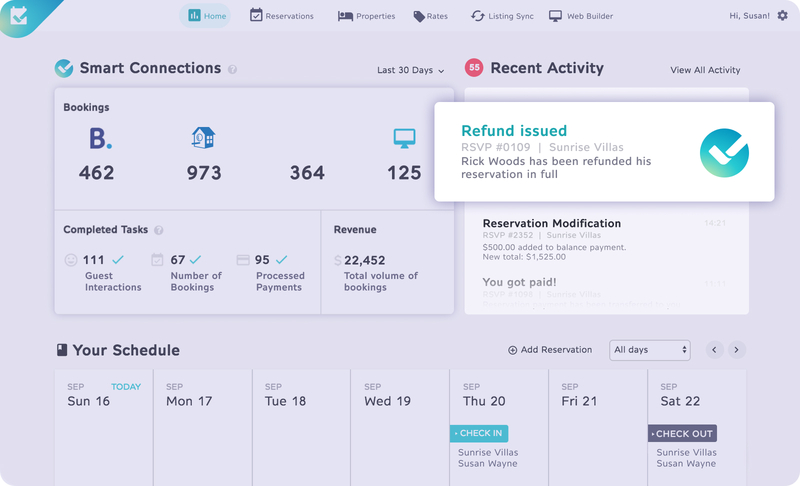 Smart Connections™ will follow your business rules to determine and release the guest’s refund. You’ll receive notifications of the reservation status, so you can deliver hospitality away from the office. Connecting over 100,000 successful rentals!